My first yoga class was incredible. At church the day before my class the pastor was speaking about getting on your knees to pray so that you can stand on your feet. They showed a picture of a man kneeling in prayer. 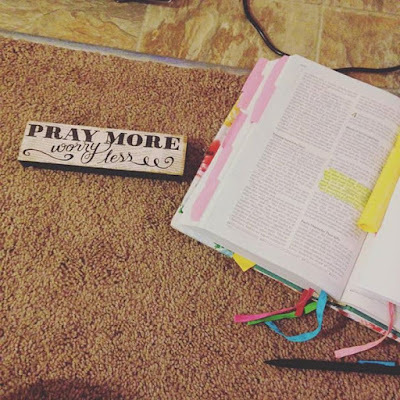 I love how child's pose and praying humbly on your knees are the same posture. 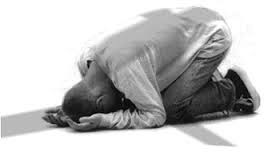 Bowing down at the Lord's feet and handing all your worries over to him. What a way to prepare for my first yoga class. Another incredible piece of church was that the worship band performed "No Longer Slaves" by Jonathan and Melissa Helser which is one of my personal favorite Christian songs about no longer being slaves to our fear. I had this song already picked out to use during my yoga class the next day. There are no coincidences with God. I showed up to teach my yoga class in faith, not in fear. When I arrived I had no clue how many people to expect, 5 or 35. The pastor's wife opened the doors and said she thought quite a few people were coming. People kept filing in even after 5pm passed. When I began the class there were so many people that the group split down the center and I moved to the center of the room so everyone could hear me. Some people even joined at the end of the class and sat right down to stretch with the class before their MMA practice after class. The Lord truly opened the door and it was amazing to be a part of so many people gathering to worship through holy yoga. I don't know why those that arrived did, whether it was to stretch more, for yoga, for community or truly to worship but I know that God brought everyone there for a reason. By the end of Shavasana I counted 38-39 people lying still and spending a precious moment resting in His grace. The Lord absolutely blessed my socks off and I still can't believe that he chose me to be a vessel for Him to work through in this way. Another thing that kept resonating with me is how God truly provided my flock of people to minister to. I originally got a "no" to teach at a church in my hometown, but I boldly asked if I could teach at a church that I went to over the summer and loved. I was faithful but still curious as to who I would teach yoga to and God equipped me to teach and provided me with an audience. All the glory is His. After the class I got a few texts thanking me for sharing my story. Telling people about my struggles was not something I even considered as a take-away from the class...just a mandatory introductory piece. Apparently it was one of the things that drew people in and made the class relatable. 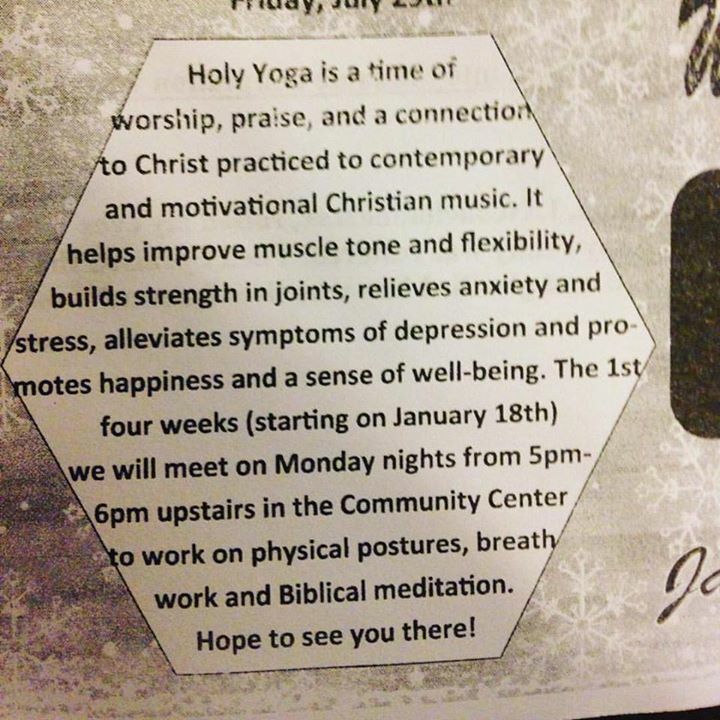 I pray that Holy Yoga continues to grow and reach people in ways that only God knows of now!